The room super good! with all the comforts, to sleep and even have breakfast perfectly! It is quite close to the center and very well connected to the metro or bus. The staff very friendly. highly recommended. No signs, only a small door for entrance. The only employee i saw is a middleeast guy seating there watching tv and he only know a few English. The room is a semi-basement, not so much a hotel, it is better to rent his own empty room. Morgenmaden var "gør det selv", som på et vandrehjem. Det er personligt, ikke hvad jeg forstår ved at betale for morgenmaden. Hvor frisk det sparsomme udvalg var, var vi også i tvivl om. Det er ikke værd at betale for.vi rejser meget og dette var forringe. Todo estaba sucio, viejo y descuidado. El desayuno un desastre. Me he sentido engañado por la publicidad. En los 6 días que hemos estado en el hotel no se ha limpiado ni cambiado sábanas ni toallas. Ni se ha retirado la basura. The Room Guest This rating is a reflection of how the property compares to the industry standard when it comes to price, facilities and services available. It's based on a self-evaluation by the property. Use this rating to help choose your stay! Just 1,650 feet from Bethnal Green and Cambridge Heath Rail Stations, The Old Friend Guest House features a 24-hour front desk and free Wi-Fi. With stylish décor and a flat-screen HD TV, each cozy bedroom at Old Friend Hotel has a DVD player, hairdryer and ironing facilities. Some rooms have a private modern bathroom. A wide range of international restaurants are available just outside the hotel. Old Friend Guest House is located in Bethnal Green, just 10 minutes’ drive from The Tower of London. There is a bus stop directly opposite the hotel, providing access to Oxford Circus and Victoria. 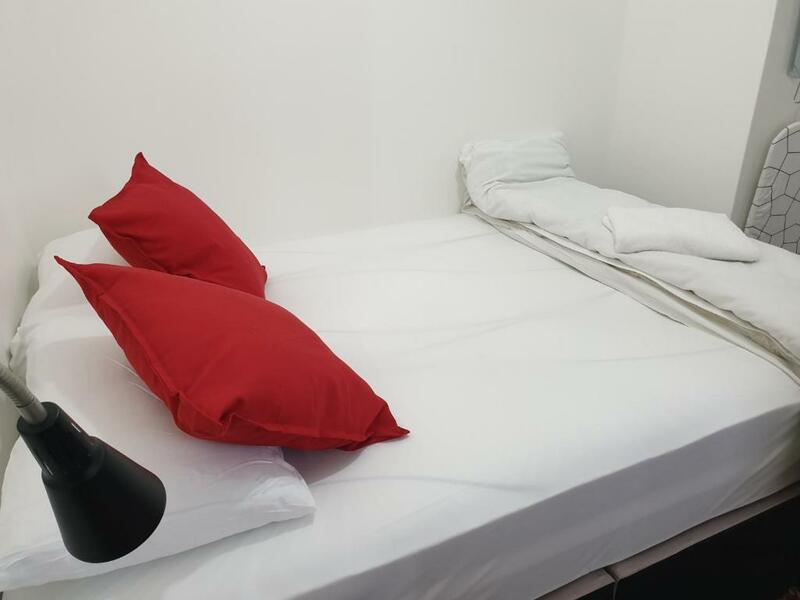 The Guest House also has a 24-hour reception.The bars and restaurants of Brick Lane are just a 15-minute walk away, and Spitalfields, with its famous market, is 20 minutes’ walk away. When would you like to stay at The Room Guest? House Rules The Room Guest takes special requests – add in the next step! The Room Guest accepts these cards and reserves the right to temporarily hold an amount prior to arrival. Please note that American Express is not accepted as a payment method. could have had coffee making facilities and food on offer. had nothing but bed and bathroom and seating. The room was extremely dirty. We did not want to even lay down on the sheets. We were there during the winter and we asked for the heating to be put on three times. Each time they said they will but they didn't so we eventually gave up. As the hotel was so dirty we did not even stay for the complimentary breakfast!